The program is built on one-to-one coaching to reach your performance or body composition goals over a 3 month period. If you want to lose some fat, gain some muscle, improve your performance or just learn more about and improve your food habits and health, we can help you out. The first step is a 90-minute consultation with Stephanie, who is in charge of the program. The first consultation starts with taking biometric measurements. 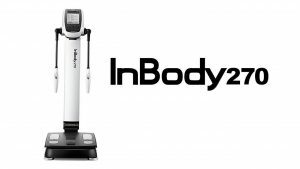 Our new Inbody machine will give you an extremely precise and detailed overview of body composition including bodyfat percentage, basal metabolic rate (how many calories you need to maintain current weight), total body water, total lean mass, skeletal muscle mass, body mass index and a segmental analysis which shows the composition of bodyfat/muscle on different parts of the body. 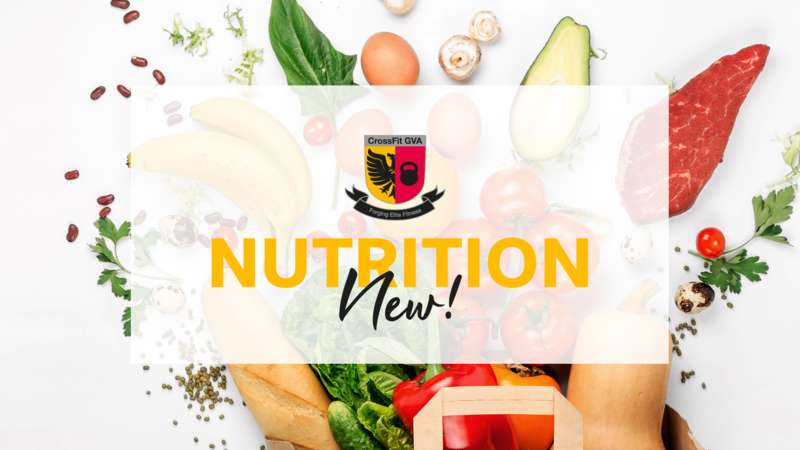 After the measurements, you will work on understanding basic nutrition concepts, setting up individual nutrition goals for the program and putting a meal plan into place. Once you finish the consultation, you will get access to our nutrition app which will lay out the details of your individualised plan. Your coach will check in with you twice per week to make sure your plan is working and make any additional adjustments. Over the three month period you will get two further one-on-one check-ins to retake your measurements and discuss any necessary changes to your plan. The price for the 3 month program is CHF 175 per month. If you would like to book a spot in the program, please send an email to nutrition@crossfitgva.com. For those of you who prefer a group approach, we are launching a new course, the CrossFit GVA nutrition fundamentals. This is a 3 hour group course for people who are looking to learn the basics of nutrition when it comes to changing body composition or improving performance. The course will teach the participants the principles of setting up a nutrition plan for fat loss, muscle gain or to maximise performance in the gym. All participants will begin with a body composition assessment on our Inbody machine which will provide a baseline for setting up a plan. The course will include practical elements such as meal planning and will include a trip to the supermarket during the break. By the end of the course, each participant will have an individualised nutrition plan tailored for their goals. After the end of the course, each participant will be given access to the nutrition coach for any questions about how to refine their plan. 6 weeks following the end of the course, the participants will meet to retest themselves on the Inbody machine and track progress. We have 10 spots available for each course. Sign-up is via Wodify. Last, but not least for those of you who just want to get a better idea of your body composition, we are running a special offer on use or our Inbody machine. Until the end of February, you can get a test done for just CHF 20.- (instead CHF 75.-). Slots are available on Monday and Tuesday from 16:00 and Wednesday from 12:00 to 14:00 at the rue de Lyon. You can book a spot on Wodify. Dernier point mais non des moindres… Pour ceux d’entre vous qui souhaitent simplement avoir une meilleure idée de leur composition corporelle nous vous proposons une offre spéciale. Jusqu’à fin février testez la machine Inbody pour seulement CHF 20.- (au lieu de CHF 75.-). Les créneaux horaires sont le lundi et le mardi à partir de 16h00 et le mercredi de 12h à 14h à la rue de Lyon. L’inscription se fait via Wodify.